Stacey Little is the Program Director for the Transportation and Logistics Management Program at American Public University System. Stacey has taught in higher education since 2000. Before teaching, she worked in a wholesale distribution business gaining experience in areas such as Sales & Marketing, Human Resources, and Logistics Management. Stacey graduated from Indiana Institute of Technology earning a PhD in Global Leadership with a specialty in Organizational Management. Stacey is also a graduate of Indiana University Purdue University Indianapolis (IUPUI) with a Masters in Business Administration and St. Mary of the Woods College with a B.S. in Human Resource Management. Stacey is a current member of the International Leadership Association (ILA), Global Business and Technology Association (GBATA) and the Association of Transportation and Logistics (AST&L). She currently holds a Professional Designation in Logistics and Supply Chain (PLS) and a Certification in Transportation and Logistics (CTL). She is a faculty advisor for the AST&L student organization at APUS. 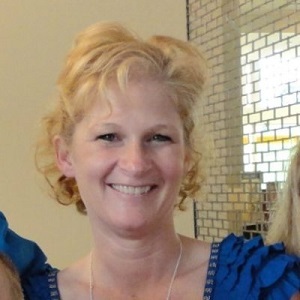 Stacey lives in Indiana with her husband and five children. She keeps very busy attending sporting events and school activities. She enjoys writing poetry, reading, learning, and boating. Stacey and her husband are members of a mission team that works with an orphanage in Haiti. Their future goal is to partner with a mission organization and university to travel with student groups to Haiti. You can find Stacey Little on LinkedIn.